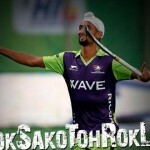 We are the #RokSakoTohRokLo team, Delhi Waveriders, and we have no qualms in admitting that we are getting better with age. We are in for successive wins and have risen above all odds to add many feats to our journey so far. We are back at #HIL2016 in its fourth consecutive year and concluded it with a remarkable victory again. No wonder why they call success a sum of small efforts, repeated day-in and day-out. We believe to fight till the end, as we had promised ourselves to retire gracefully to our abode before the day ends. Holding that view, we did achieve a great finish to the fourth season of Hockey India League (HIL) as it welcomed us with open arms. For a team like ours, that made it twice to the finals including the winning of title in 2014, winning a Bronze is yet another milestone. And not just that! 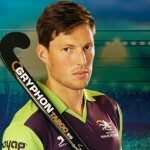 Rupinder Pal Singh, the Vice-Captain of Team Waveriders was declared the Player of the Tournament. A flawless reverse flick worked in putting us ahead in the race while our players broke the jinx at the 18th minute after a tie. A tiebreaker goal was sealed with a kiss by Mandeep Singh who delivered those crucial two points that earned us the match. The ball was certainly in our court when the thirst for a much-required field goal was quenched. Delhi Waveriders stood firm on the attacking side and came out with a strong defence. As we started pressing hard for scores, the opposition team could not make a successful counter-attack. We took the lead after the deadlock ended over the matter of a field goal. Our higher circle penetrations could materialize only as we got possession of the ball on a sunny Sunday. The defence line had turned rock solid after the first two quarters, as the competing team gained momentum. And, their efforts could not reach equilibrium when we did not let them make the best of opportunities. Our mid-field was good enough to put the opponent’s playing skills to test as we foiled their attempts to invade our circle. The second quarter witnessed some real action with us displaying aggression on the field which remained the only active effort that won us the game.